A former coach station used by travelers en route to the spas of Trieste, Das Triest is a pitch perfect combination of history and modern design. 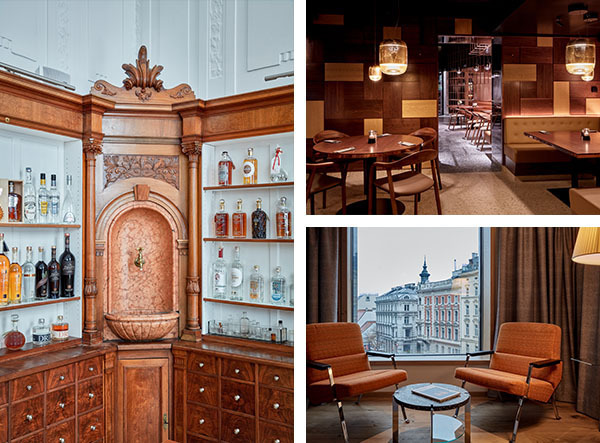 Austrian architect Peter Lorenz and British interior designer Sir Terence Conran joined forces to preserve parts of the original structure, combining elements of imperial elegance with sober lines, in sharp contrast to the city’s charming 19th-century Art Nouveau architecture. Subtle nautical touches feature throughout the hotel’s 120 rooms and suites, while specially commissioned photographs of Trieste and Vienna further celebrate a connection to the building's historic role in international travel. 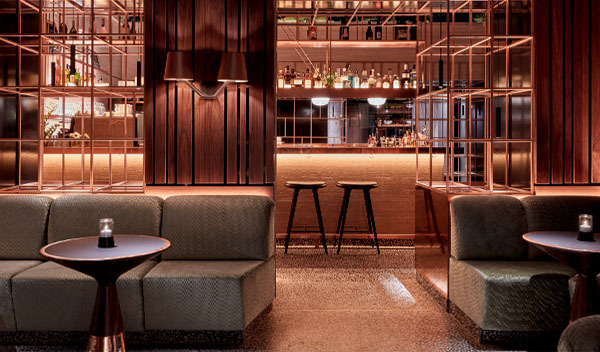 Italy also provides the inspiration for the hotel’s gastronomic concept, which comprises the established restaurant, Collio, alongside the legendary Silver Bar and newly renovated Porto Bistro. The hotel’s Alimentari delicatessen is housed in a former pharmacy and rounds up Das Triest’s extensive culinary offering.